99 years ago on this very day, thousands of innocent Indians were shot and killed by armed British forces in Amritsar, and to date there has been no formal apology from Britain. 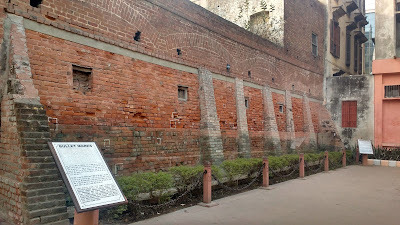 The ground zero was Jallianwala Bagh. Around 15,000 men, women and children had gathered at this open public space on Baisakhi Day to protest the Rowlatt Act (an Act that empowered authorities to imprison without trial). Upon learning of this gathering, General Edward Henry Dyer rounded up a troop of 50 men armed with 1,650 bullets who were instructed to fire at the chests of the Indians until the last bullet was fired. They sealed the only two exits of the Bagh, then the size of three football fields surrounded by homes. Without any warning, rounds were fired and with all the exists sealed by the troops, to escape the bullets, many died jumping into a well or in the resulting stampede. Though formal investigation concluded that around 367 Indians were killed, the actual number was in thousands, with thousands more injured. The 1982 Oscar winning Attenborough film 'Gandhi' brought that scene to life - it is a painful watch. 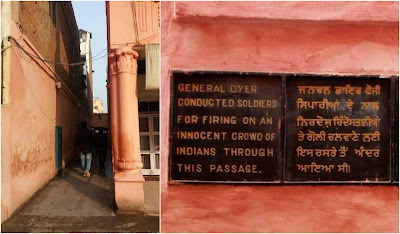 Back in Britain, the man behind the massacre, General Dyer, was admired and was even given a full military funeral when the 'Butcher of Amritsar' died a lonely death. Ratan Devi was at home near the Bagh when she heard the shots fired. Her husband was one of many killed in the massacre. She found his dead body among a pile of bodies. And on that cold April night, with no one to help her carry her husband's body home, she lay beside him crying alone amidst a field of corpses and barking dogs. "What I experienced that night is known only to me and to God. ", she said. Udham Singh was just 20 years old when he witnessed the massacre and thereon, avenging it became the obsessive mission of this young revolutionary. Circa March 13, 1940, at a meeting held in Caxton Hall, London, he shot dead Sir Michael O'Dwyer (the Lieutenant Governer of Punjab in 1919 under whose watch General Dyer committed the massacre). Four months later, he was hanged to death at the Pentonville Prison. One month after the massacre, Rabindranath Tagore wrote this letter to the then Viceroy of India Lord Chelmsford, to protest against the Jallianwala Bagh massacre by renouncing the knighthood that had been conferred to him in 1915. In his letter, Tagore wrote, "The time has come when badges of honor make our shame glaring in the incongruous context of humiliation, and I for my part wish to stand, shorn of all special distinctions, by the side of those of my countrymen." In 2013, David Cameron became the first British Prime Minister to visit the Bagh and pay his respects, however he did not apologize stating that the incident happened 40 years before he was even born. Did he miss the point? Absolutely. I recommend reading this article by The Guardian on his controversial 2013 trip. 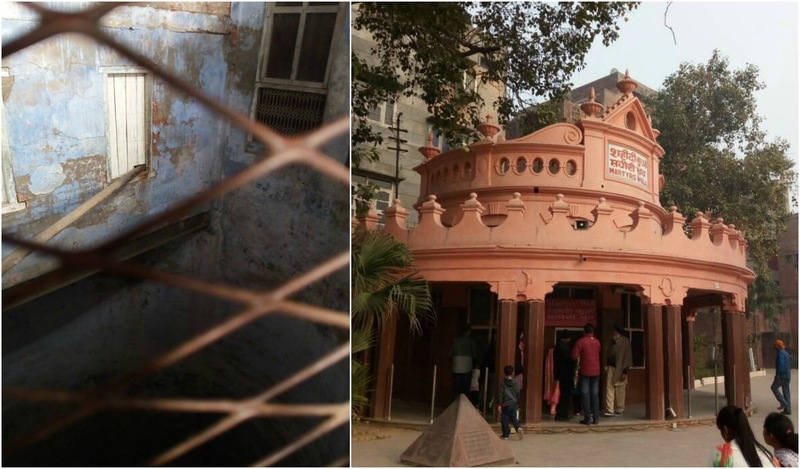 The Jallianwala Bagh Massacre is a stark reminder of one of many blotches left behind from two centuries of the British Raj in India. Politician, former diplomat and author Dr. Shashi Tharoor wrote prolifically about the rapacity of the colonial rule in his bestseller 'Inglorious Empire: What Britain did to India', and you can read more about some revelations from his book in this article on my blog. Today, Tharoor is a prominent voice who proposes that April 13, 2019, the centenary of the Jallianwala Bagh Massacre, would be the perfect occasion for Britain to formally apologize to India for the 200 year rule that destroyed India, once a rich country that contributed 27% of the world's GDP. In December 2017, London Mayor Sadiq Khan (he is the son of a Pakistani immigrant bus driver) said that it is time for the Britain government to apologize for the tragedy of April 13, 1919. Apology or no apology, we Indians are a forgiving lot, but let us NEVER FORGET. For more information, visit Jallianwalabagh.ca. Are you searching the best place for office space on sharing basis in Pune where get all facility like ac, RO water, and well furniture as well as a good environment then come to NextPageCoWorking.